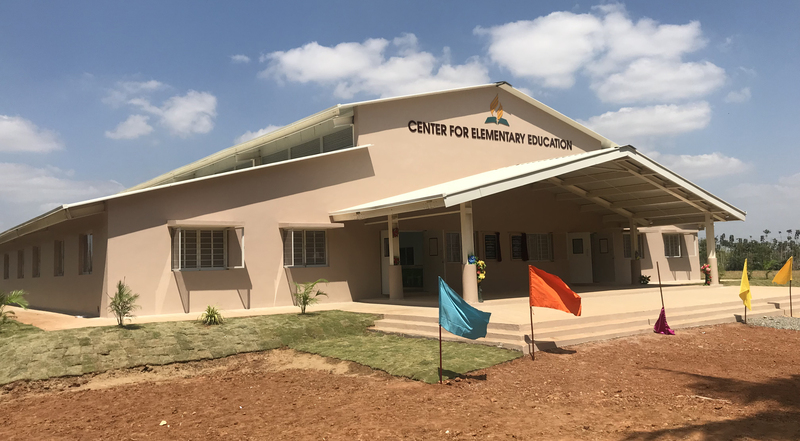 On February 23, 2018, Maranatha celebrated the completion of a new building at the E.D. Thomas Seventh-day Adventist School in Tamil Nadu, India. Hundreds of people, including regional Adventist church leaders, attended the dedication ceremony. The new building, called an education and evangelism center, has 10 classrooms and a large auditorium. The school will use it for assemblies and as a place of worship on Sabbath. It will also serve as a regional conference and events center for the Adventist church. Maranatha built the structure over the past year, using local crews and volunteers; Maranatha has constructed more than 100 education and evangelism centers around the world. The building will mainly serve the primary-level students. Prior, they were meeting in aging facilities that were built more than 20 years ago. The classrooms had cracks in the walls, a leaky roof, and uneven floors. For assembly and worship, the children had to stand outdoors in the scorching sun. The situation was so bad that the school failed to meet government safety standards. The E.D. Thomas School is located on approximately 50-acres of a mango plantation in the town of Thanjavur in southern India. It was started in 1953 with just eight students. Today, there are 750 primary and secondary students enrolled at E.D. Thomas.